More and more businesses are requesting wireless Access Control Systems in Ft. Collins. Why is that? 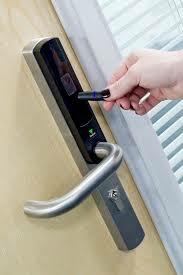 Wireless access control systems give you the power of a fully robust access control system without all the wires. Does your business have difficult architecture that makes running cables challenging? Wireless access control systems are solving these problems in Ft. Collins.